Exchange-traded funds (ETFs) are revolutionizing the investment industry. From their introduction in 1993, ETFs have expanded exponentially over the past fifteen years. You, as an informed investor, need to know what makes ETFs unique, how they work, and which funds may help you achieve your financial goals. The updated edition provides the most current look at the ETF market, where the number of funds has doubled since the book first published in December 2007. A huge number of bonds funds, commodities funds, currency funds, leverage and short funds have been introduced. In addition, actively managed ETFs are here now, and some major mutual fund companies, like Fidelity and PIMCO, are getting into the market. Remarkably, the terminology in the ETP marketplace is also evolving at a rapid pace. The acronym ETP for exchange-traded product has become an industry standard. The term did not exist two years ago. 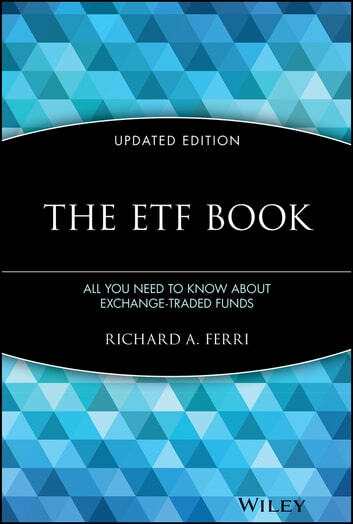 Written by veteran financial professional and experienced author Richard Ferri, The ETF Book, Updated Edition gives you a broad and deep understanding of this important investment vehicle and provides you with the tools needed to successfully integrate exchange-traded funds into any portfolio. This detailed, yet clearly articulated guide contains the most up-to-date information on navigating the growing number of ETFs available in today's marketplace. Divided into four comprehensive parts, this guide addresses everything from ETF basics and in-depth fund analysis to the tax benefits of using ETFs. Included are a variety of portfolio management strategies using ETFs and examples of different model portfolios that you can easily adapt to your own investment endeavors. 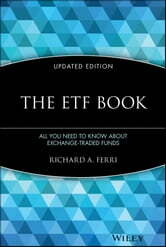 Each chapter of The ETF Book, Updated Edition offers concise coverage of various issues. It is filled with in-depth insights on different types of ETFs and practical advice on how to select and manage them. The appendixes are an added benefit, offering an ETF Resource List, which will point you to more places for information on these structures, and a detailed Glossary to help you with industry-specific definitions. The ETF Book, Updated Edition is an invaluable road map for developing a winning investment strategy. Armed with the knowledge found throughout these pages, you'll be prepared to build a solid portfolio of ETFs that will benefit you for years to come.